Bitcoin is the first and most popular cryptocurrency. Due to its decentralised nature, the price of Bitcoin is not controlled by any government, organisation, or company. Hereby, all our experience with price determination of traditional fiat money is not applicable in this case. Furthermore, Bitcoin price fluctuations are a subject for trading Bitcoins and earning on the price difference. To predict the next rise or drop in the Bitcoin price, it’s good to know what makes it do so. 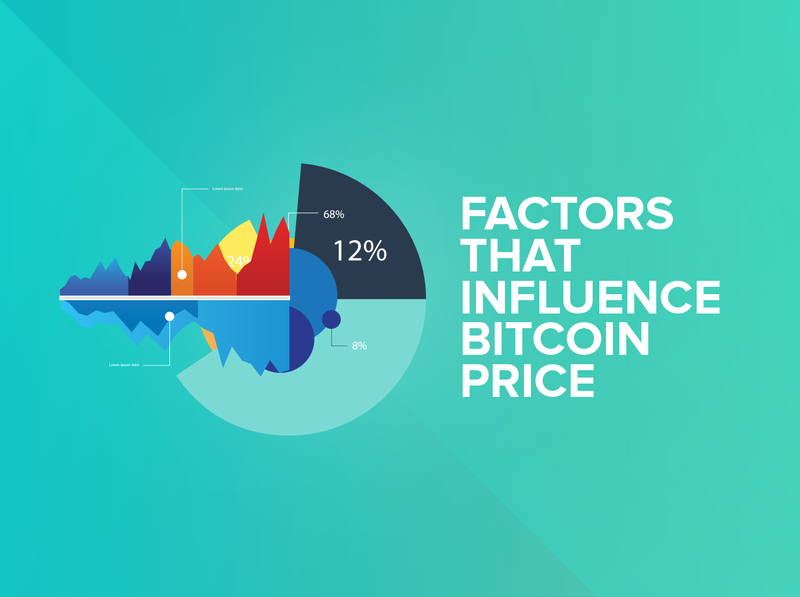 We tried to figure out some of the factors that influence the price of Bitcoin. Each time any government releases official statements regarding regulation of digital currencies, Bitcoin price is affected. Even if government actions are not directly related to virtual currencies, the impact is also present. Let’s recall, for example, the banking crisis in Cyprus, when the government seized funds, which led to many discussions whether Cyprus should turn to Bitcoin adoption. Bitcoin is probably the most democratic currency in the world, as its price is formed based on the correlation between supply and demand on the market of each Bitcoin exchange. Thereby, if a person with significant amount of Bitcoins decided to sell them at once for some reason, it may lead to a price drop on a certain Bitcoin marketplace, and to a drop of the Bitcoin price in average. The next factor is something that really influences people’s minds. Trying to predict where the Bitcoin price will go further — up or down — we constantly track Bitcoin news. As one of the famous companies adopts Bitcoin, the price goes up. Such a situation happened when Dell or Virgin Galactic started accepting Bitcoin. At the same time, when Apple deleted all the Bitcoin apps from the App Store, Bitcoin price experienced a notable drop. For those who are only considering to enter the Bitcoin ecosystem, news presented by traditional mass media come in hand. TechCrunch hosts a weekly Bitcoin-focused podcast, such media monsters as Forbes, BloombergView, WIRED, and the Wall Street Journal cover Bitcoin news as well. The more people use Bitcoin in the everyday life, the broader adoption it gains, bringing the Bitcoin price to the moon. But even though Bitcoin has indisputable advantages, it is not as easy in use for everyone. Therefore, it makes sense that so many companies try to develop a real Bitcoin killer app that would ease Bitcoin usage in the everyday life to such extent that it stands near Visa and MasterCard. This is how Bitcoin is more an more entering not only the lives of geeks and Wall Street traders, but also developers and IT companies. A dark side of the factors that influence the Bitcoin price are Bitcoin exchange hacks. Perhaps, the most significant price drop throughout the history of Bitcoin was the Mt.Gox incident. Not only people lost their Bitcoins, but they have also gained a disbelief in the system they trusted so much. Those who were not affected by the exchange hack directly, still felt the turbulence of the whole industry because of the price drop. CEX.IO Bitcoin exchange constantly improves its safety system to sustain its reputation of a trusted Bitcoin exchange, users of which have never experienced any Bitcoin thefts. 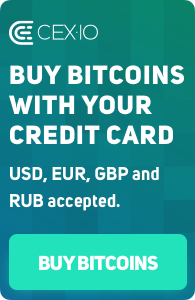 Try out the easiest and most secure way to buy Bitcoin with credit card right now!